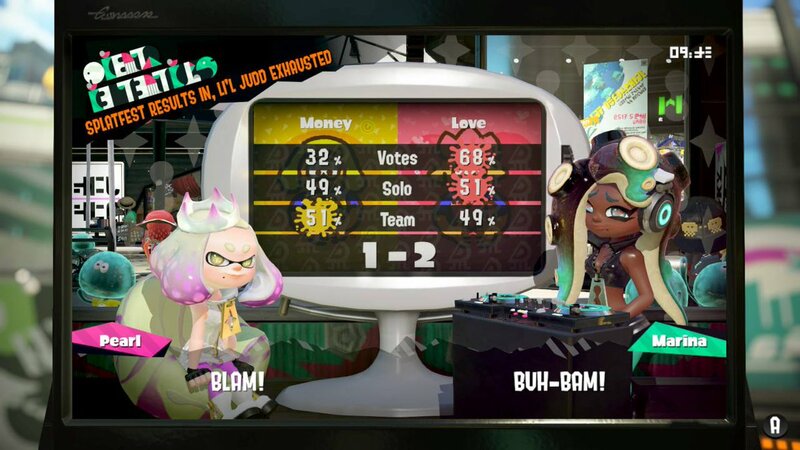 Over the weekend in Splatoon 2 news, North America held its Splatfest event, which featured Team Love and Team Money fighting for bragging rights in a drag for the riches showdown. In the end, Team Love showed no love to Team Money, taking them down 2-1 in the final results. It was a close one as Solo was decided by 2% and team was also decided by 2% as well!